Arts & Culture Archives – "Not All Who Wander Are Lost"
You hear the term ‘conservation’ used often when we talk about cultural heritage and its preservation, but what exactly does that mean? As an art conservator and restorer, I’ve heard just about everything. 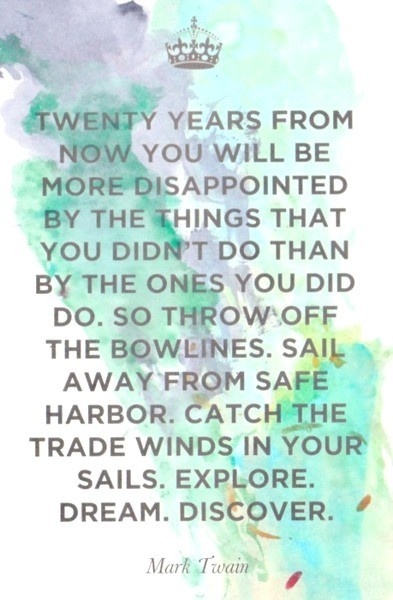 Well fortunately for you, that is what I’m going to do today. I’m going to provide you with a crash course in art conservation 101 and give you a better idea of what exactly it is that we do. First, let’s define what art conservation and restoration actually is. When we talk about art conservation and restoration, we mean the treatment, repair, and long-term conservation of all matter of media and materials due to willful damage, neglect, or the inevitable aging and decay caused by the passage of time. Because this is such a vast and wide discipline, the practice of conservation is broken down into different categories. For example, I have personally been trained in-depth on the conservation and restoration of canvas paintings, wall paintings, stone, stucco, and architectural surfaces, with minor training for archaeological objects, paper, and wooden panel paintings. 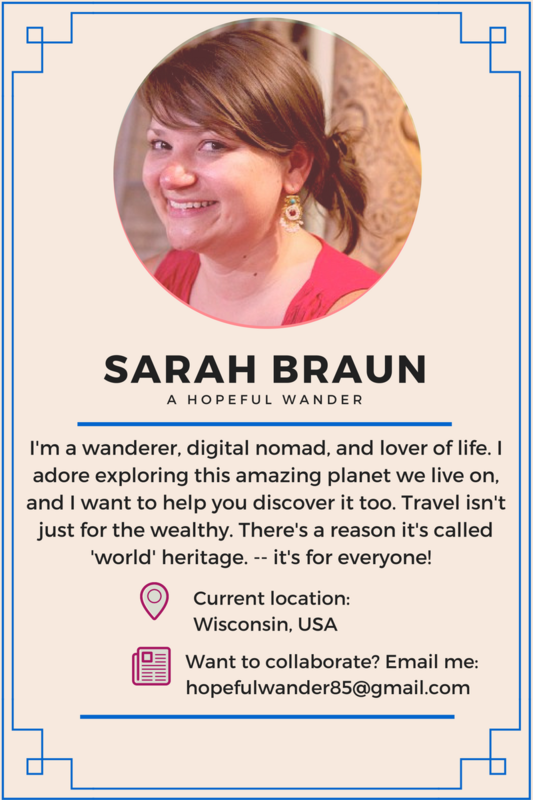 This does not include other areas of conservation like furniture, glassware, metalware, architecture (structural), textile, photography, ceramics, or digital media. If it’s still unclear, I quite like this definition from the Art Conservators Alliance to help explain. We also have to know a lot of science. Yes, art and science. You read that right. 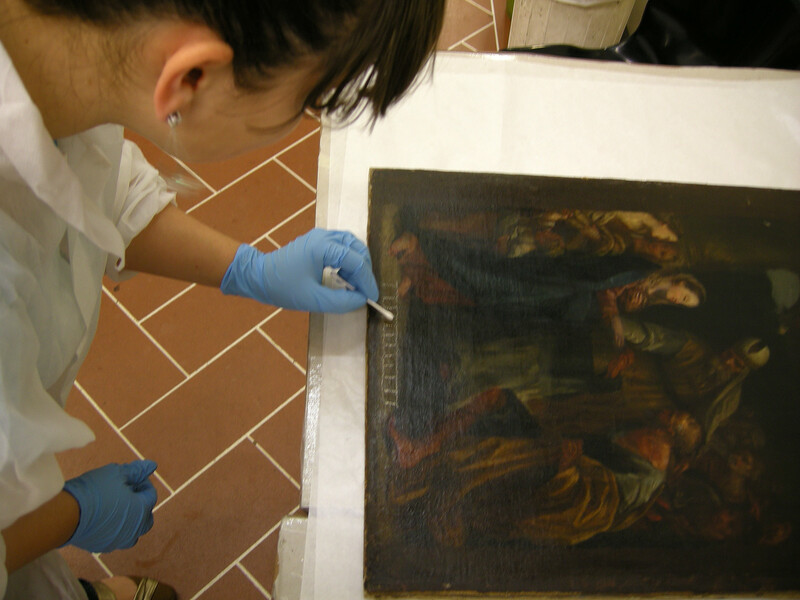 Each conservator/restorer is trained in specific scientific and diagnostic practices that are applicable to all types of materials, as well as specific chemical treatments that are relevant to their area of expertise. It takes rigorous study, and a great deal of experience working in-situ, and often individuals choose to specialize specifically in conservation science. We can’t just ‘fix’ it either. It’s also not as simple as gluing things back together. One of the first things you learn as a conservator is to respect the integrity of the original by always practicing minimal intervention. What does that mean? 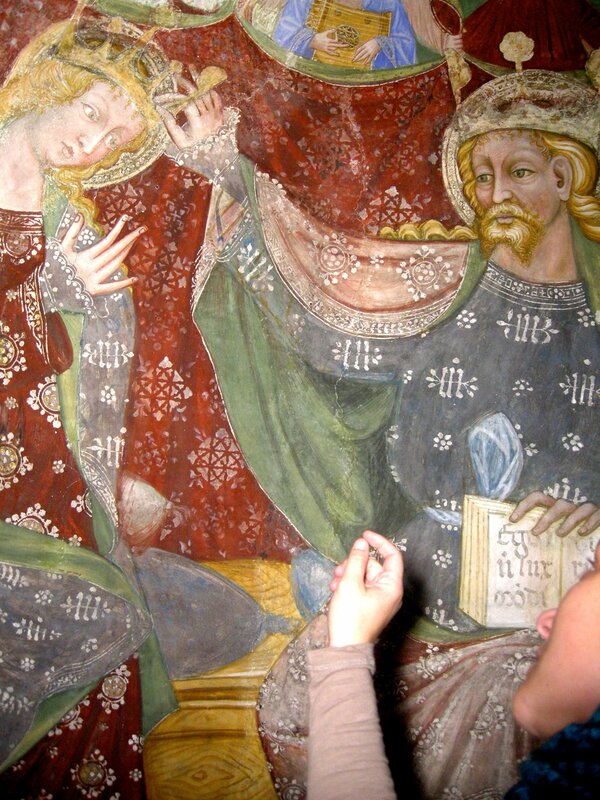 It means that conservation of the original often takes precedence to aesthetic appearance. It is fundamental to understand that there is a difference between conservation, restoration, and renovation. Depending on where you practice, there is usually a set of standards and guidelines – a code of ethics – that you must abide by. For example in North America, the American Institute for Conservation (AIC) sets the standards of practice for conservators and restorers working in this region of the world, which operate similarly to global standards set out by organizations like the International Council of Museums (ICOM). Of course there are some variations in practice due to preference and technique, but the overall goal is to keep a fundamental continuity among professionals internationally. 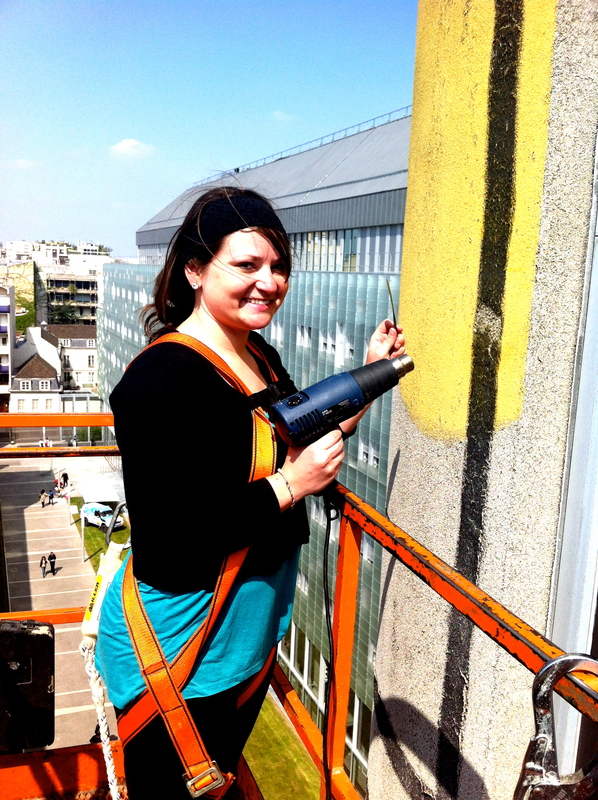 Why is it important to understand these aspects of art conservation? 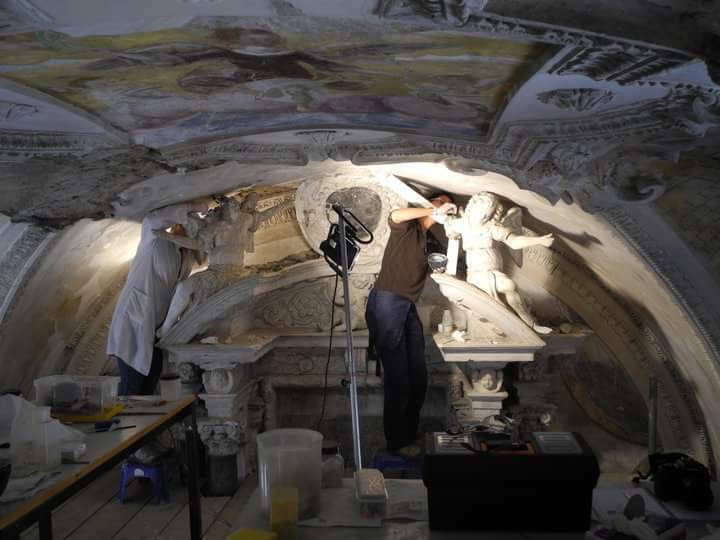 By now you’ve probably realized that art conservation and restoration is a lengthy, delicate, and sometimes complicated endeavor. We have to walk a thin line of preserving cultural property for future generations, and at the same time uphold the original integrity and historical legacy of its past. We have to choose materials that are compatible and won’t cause future damage, as well as maintain the environment and space in which the heritage is found. This type of work takes time, passion, great dedication to training and craft, as well as substantial monetary resources that aren’t always there (which, in my opinion, is due largely to under estimating the true value of cultural heritage for local economies and societies – but that’s a discussion for another day). Platforms like LoveItaly! have the power to change that, and you can be a part of that legacy too, by doing what you can and supporting these important projects. 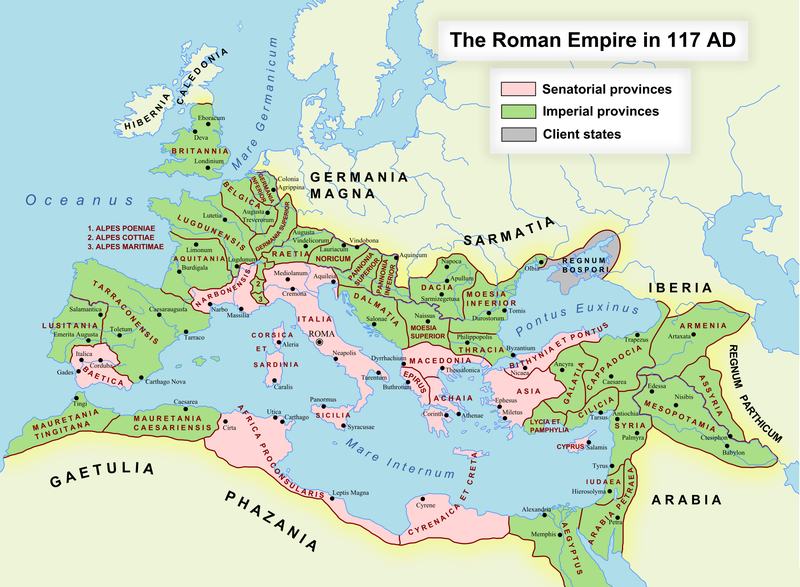 From its small beginnings in the 8th century BCE to enormous empire, which at its peak reached across Europe and into north Africa and western Asia, Rome has fascinated us for centuries. Its slow rise and swift fall, the innovation, its influences on modern language – all have played a part in shaping the world we leave in today. So for this week’s Arts & Culture Discussion we’re going to talk about some things you might not know about this incredible Empire. Humans are a naturally curious species—whether that curiosity is simply diversive or has the ability to deepen with the tantalizing pull of greater understanding. It is, in fact, what sets us apart from other members of the animal kingdom. Some would say, perhaps, that it is our greatest gift. Yet, today diversive curiosity is often very short-lived. Often you see the small seed of ‘wanting more’ fleetingly surface with each cognitive inquiry. The amount of information available to us at the click of a button or swipe of a finger is staggering. Yet, because we are constantly bombarded through the Internet and social media we become lost in this overload of usable data and information. These tools (which can of course be very useful) spark initial curiosity—an instantaneous desire to know—that is quickly satiated through a rapid Google search. If an individual cannot recognize the small pull, the quiet questions of ‘why?’ or ‘what if?’ that persists after the original inquiry, the opportunity to move further into our capacity to explore epistemic curiosity disappears. Curiosity and inquiry draw conclusions and connections across disciplines, specializations, and ultimately the people that make up this planet. It is at times difficult to see how different sectors like heritage, business, and information technologies come together, but they are all part of the synergistic relationship necessary for global sustainable development. In fact, they are all tied to a single, common factor—culture. Epistemic curiosity is rooted in the knowledge banks created by different cultures of the world over time. It is why we have more than just the wheel to transport us, or a wood fire to keep us warm. The amazing gift of knowledge seeking is a tool and skill each person on this planet possesses. Specifically in our present time, we are in need of innovation and creative minds to solve the complex issues facing our global society. Curiosity and inquiry is the key to unlocking this untapped potential, both on an individual level and humanity as a whole. Our mission should be to continue to feed our own curiosity; to make conscious decisions that utilize the boundless information at our disposal, but also go further, deeper. We must ask questions, but also move outside the self-defined comfort zone to new places, people, and issues. The power we possess, if we use it, is staggering. Be one to ask. Fall in love with wanting to know. Tap into the epistemic curiosity waiting to be unleashed. The journey on which it takes you may change the world. Do you have the curiosity to ask ‘what if’?